A collection of 33 tales from the Zuñi; a Southwest American Indian nation whose spiritual beliefs center around elaborate ceremonies for fertility and rain, comprised of a yearly cycle of ritual dances by masked dancing gods called Kachinas. It is instructive to compare superstition with science. Mythology is the term used to designate the superstitions of the ancients. Folk-lore is the term used to designate the superstitions of the ignorant of today. 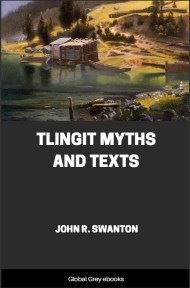 Ancient mythology has been carefully studied by modern thinkers for purposes of trope and simile in the embellishment of literature, and especially of poetry; then it has been investigated for the purpose of discovering its meaning in the hope that some occult significance might be found, on the theory that the wisdom of the ancients was far superior to that of modern men. Now, science has entered this field of study to compare one mythology with another, and preeminently to compare mythology with science itself, for the purpose of discovering stages of human opinion. When the mythology of tribal men came to be studied, it was found that their philosophy was also a mythology in which the mysteries of the universe were explained in a collection of tales told by wise men, prophets, and priests. This lore of the wise among savage men is of the same origin and has the same significance as the lore of Hesiod and Homer. It is thus a mythology in the early sense of that term. But the mythology of tribal men is devoid of that glamour and witchery born of poetry; hence it seems rude and savage in comparison, for example, with the mythology of the Odyssey, and to rank no higher as philosophic thought than the tales of the ignorant and superstitious which are called folk-lore; and gradually such mythology has come to be called folk-lore. Folk-lore is a discredited mythology--a mythology once held as a philosophy. Nowadays the tales of savage men, not being credited by civilized and enlightened men with that wisdom which is held to belong to philosophy, are called folk-lore, or sometimes folk-tales. The folk-tales collected by Mr. Cushing constitute a charming exhibit of the wisdom of the Zuñis as they believe, though it may be but a charming exhibit of the follies of the Zuñis as we believe. The wisdom of one age is the folly of the next, and the opinions of tribal men seem childish to civilized men. Then why should we seek to discover their thoughts? Science, in seeking to know the truth about the universe, does not expect to find it in mythology or folk-lore, does not even consider it as a paramount end that it should be used as an embellishment of literature, though it serves this purpose well. Modern science now considers it of profound importance to know the course of the evolution of the humanities; that is, the evolution of pleasures, the evolution of industries, the evolution of institutions, the evolution of languages, and, finally, the evolution of opinions. How opinions grow seems to be one of the most instructive chapters in the science of psychology. Psychologists do not go to the past to find valid opinions, but to find stages of development in opinions; hence mythology or folk-lore is of profound interest and supreme importance. Under the scriptorial wand of Cushing the folktales of the Zuñis are destined to become a part of the living literature of the world, for he is a poet although he does not write in verse. Cushing can think as myth-makers think, he can speak as prophets speak, he can expound as priests expound, and his tales have the verisimilitude of ancient lore; but his sympathy with the mythology of tribal men does not veil the realities of science from his mind. The gods of Zuñi, like those of all primitive people, are the ancients of animals, but we must understand and heartily appreciate their simple thought if we would do them justice. All entities are animals--men, brutes, plants, stars, lands, waters, and rocks--and all have souls. The souls are tenuous existences--mist entities, gaseous creatures inhabiting firmer bodies of matter. They are ghosts that own bodies. They can leave their bodies, or if they discover bodies that have been vacated they can take possession of them. Force and mind belong to souls; fixed form, firm existence belong to matter, while bodies and souls constitute the world. The world is a universe of animals. The stars are animals compelled to travel around the world by magic. The plants are animals under a spell of enchantment, so that usually they cannot travel. The waters are animals sometimes under the spell of enchantment. Lakes writhe in waves, the sea travels in circles about the earth, and the streams run over the lands. Mountains and hills tremble in pain, but cannot wander about; but rocks and hills and mountains sometimes travel about by night. These animals of the world come in a flood of generations, and the first-born are gods and are usually called the ancients, or the first ones; the later-born generations are descendants of the gods, but alas, they are degenerate sons. The theatre of the world is the theatre of necromancy, and the gods are the primeval wonderworkers; the gods still live, but their descendants often die. Death itself is the result of necromancy practised by bad men or angry gods. In every Amerindian language there is a term to express this magical power. Among the Iroquoian tribes it is called orenda; among the Siouan tribes some manifestations of it are called wakan or wakanda, but the generic term in this language is hube. Among the Shoshonean tribes it is called pokunt. Let us borrow one of these terms and call it "orenda." All unexplained phenomena are attributed to orenda. Thus the venom of the serpent is orenda, and this orenda can pass from a serpent to an arrow by another exercise of orenda, and hence the arrow is charmed. The rattle-snake may be stretched beside the arrow, and an invocation may be performed that will convey the orenda from the snake to the arrow, or the serpent may be made into a witch's stew and the arrow dipped into the brew.